At five years old, I can see my father speaking to this man who I was too afraid to approach. He signed autographs and looked committed to his work, yet smiled infectiously. I must have felt the aura that surround him daunting. Possum was a hero, a role model, and an idol. Though I do not distinctly remember the man, I can see the impact that he had, and how it continues today. People always mention that the death of Possum had a death-like effect on Australian rallying. In many instances, this was true, and Australian rallying has not recovered to its previous highs. When Possum got to the Australian Rally Championship in 1992, it was a stagnant championship, with limited manufacturer involvement. 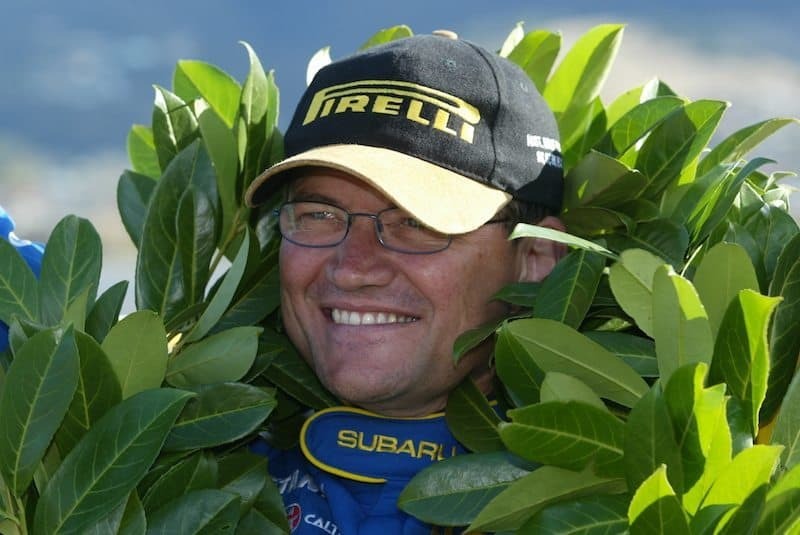 Already having two New Zealand Rally Championships and a tight knit relationship with Subaru under his belt, he was able to propel the team to a title in their first season. Though West Australian, Rob Herridge, took the title ahead of Bourne, it was the catalyst for a glorious era for the brand and championship. His Group A Legacys and Imprezas followed by the World Rally Cars, gained such a cult following that he was arguably better known in his adopted home of Australia than he was in his home, New Zealand. An unprecedented seven straight Australian Rally Championships were achieved, making him the greatest driver the series has ever seen. However, the generosity of Possum shone through and made him not just a rally driver stuck behind the wheel, but a personality which people grew to love. 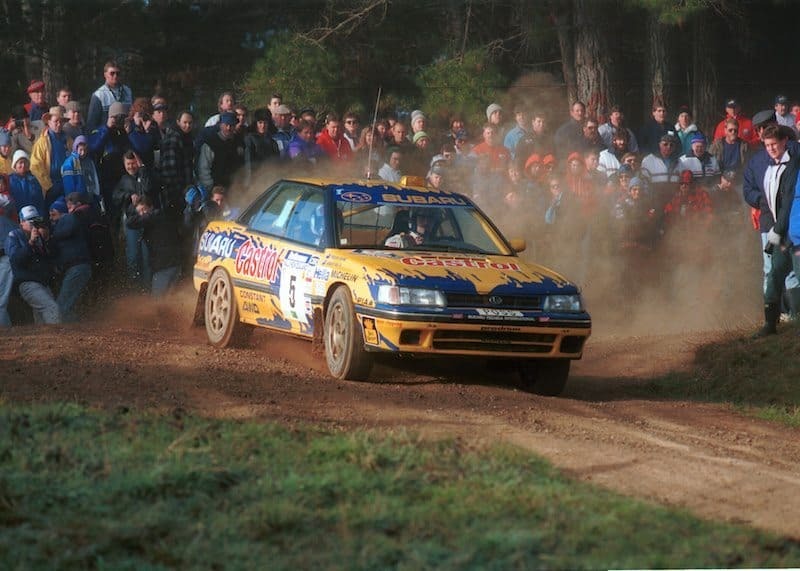 Rival, and fellow Australian Rally Champion, Ross Dunkerton, speaks of Possum in high regard. “In our early days when we competed against each other in the Asia Pacific area, Possum was a rival and a worthy opponent,” he said. This outlines what I’ve been told Possum shone through as: a generous family man. Dunkerton says that he met him in 1983 in Kuala Lumpur at the start of Rally of Malaysia. “That one-liner, although said in jest, best describes the next 20 years of Possum’s life,” Dunkerton said. From what I’ve learnt, no words could be closer to the truth. The next generation of Australian rally fans and stars are not lost on the importance of Possum and what he was able to do. As a young boy, like many others, I would watch videos constantly. Unlike your usual three, four and five year old, I would turn on the ARC and watch Possum and Neal Bates in their epic World Rally Car battles. The 2000 championship was run on repeat to the point of recital both then, and now years later. Harry Bates, son of Neal, would watch rally highlights similarly, and regrets the fact he was unable to truly experience the glorious time for Australian rallying. “I grew up watching the VCRs from all of the rallying in the late 1990s, and obviously learnt a lot about Possum and the great rivalry between he and Dad,” he said. “It was a pretty amazing time for the sport – a true trans-Tasman challenge where the best of New Zealand and the best of Australia were rallying for tenths of seconds for so many years. “Sadly, I was too young to get to know Possum well, but he is someone that I’ve always had a huge amount of respect for,” the present day Toyota driver concluded. I, alongside Bates, knew the television personality of Possum Bourne, but both of us were too young to truly know him personally. Reading the previous Possum Bourne tributes at the 15th anniversary of his death brings the importance of what he was able to do back to the fore. Though the years have passed, I don’t think his impact has been forgotten, and frankly, I don’t want it to. I can still see the moustache and grin on the old rally videos. Him in the blue corner, Bates in the red corner. 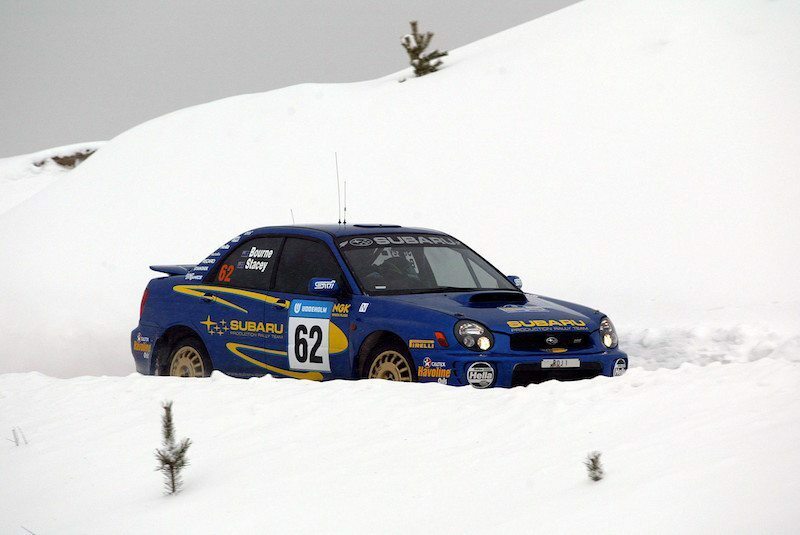 Backing that Subaru into corners sideways within an inch of its capability was what he did, and the presenters of the time captured the essence of that perfectly – that’s why I won’t be forgetting or regretting that time spent in front of the television. In saying that, I might have to dig them out again. I was unable to experience the personal traits which made the man so admired, and that pains me. How I’d give my right arm to have got to know him as a person.